Absolutely the best people to have on your side during a move! Mark and Melissa are the best. They helped point my preganant wife and I in the right direction. When our house sold the first day it was listed. They were prompt in delivery and when my pods were moved first to my in laws and then several weeks later to our new home, nothing had shifted and all of our belongings (some very expensive woodworking tools too) were dry and all of my cast iron tools were rust free. The pods were clean and they even provided us with security locks. Truly wonderful people. The staff was very helpful, the unit was spotless and the price was budget friendly. Convenient and time-saving. The owners are considerate, friendly, and accommadating. Excellent service and great prices! Overall, our experience was excellent. My husband was a bit concerned about the units when they first arrived, because they were not huge metal containers, but smaller wooden ones. He was doubtful that they could store our stuff and be safe. I'm happy to say that now he is a true believer. All our stuff fit in easily and the units were easily accessed to add as we slowly packed our things. 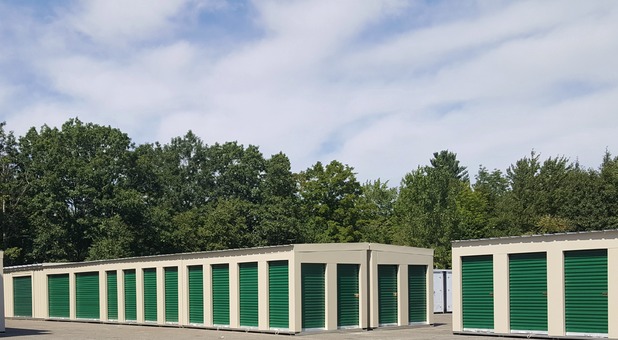 I was able to get the units delivered within a few days of requesting them, and when we needed them moved to our new location, they were done within three days. Every item, including a 6 foot glass china cabinet was fine. No damage whatsoever! We decided not to store our units at the facility, and had them brought to our new house, where they placed them exactly where we wanted them. This was a great convenience, as my brother-in-law had to wait almost two weeks for his pods to be delivered when he moved. We had them readily available. When they were finally empty, they came and picked them up a few days later. I would highly recommend 603 Storage & Moving. Great prices, great service and a family owned company, which is important to me! We were very pleased with the service and amazed at the pricing. After selling our house, we had to wait an additional three weeks before we could move into our new house. After interviewing six moving companies, the lowest price we were quoted was $3,400.00. Just before we signed an agreement, a friend of ours told us about "603 Storage and Moving" in Northwood. The storage pods looked really good and storing them for the extra time seemed to be very reasonable. Recognizing that my wife and I are no spring chickens, we also asked if they could help us find people to actually load and unload them. Not only did they find help with this, but they also helped out themselves. Watching them at work was impressive. They worked steadily and carefully. Their equipment, pods, truck and lifting equipment were cool and efficient. After all was said and done, our stuff was safe and undamaged, and it cost us under $1,000.00. Thanks to the crew and staff. If we need help again, we know who to call. The storage pods worked great. We sold our house in October and moved into our new house in May. It was great to have our possessions delivered to us in excellent condition. We had to change our closing date twice and they bent over backwards to get our pods to us when we requested. The employees are very courteous and we were very pleased with their service. A good price and an awesome service! 603Storage made a stressful move easy! They placed the box right near the back door to my apartment, and I was surprised how much fit in it. SO nice not to have to drive a rental truck. Driver was courteous, I offered to tip him but he politely declined (I guess they don't accept tips??). This beats a truck and storage unit any day!